15 “Beware of false prophets, who come to you in sheep’s clothing but inwardly are ravenous wolves. 16 You will recognize them by their fruits. Are grapes gathered from thornbushes, or figs from thistles? 17 So, every healthy tree bears good fruit, but the diseased tree bears bad fruit. 18 A healthy tree cannot bear bad fruit, nor can a diseased tree bear good fruit. 19 Every tree that does not bear good fruit is cut down and thrown into the fire. 20 Thus you will recognize them by their fruits. Matt. 7:15-20. Two sections of scripture speaking to the good works, the good fruit that is the result of our faith in the Lord Jesus Christ. Not only that, the Matthew passages refers to how a diseased tree bears bad fruit. So we have those two positions. Good tree bearing fruit that is good, and bad trees giving bad fruit. A thistle will give thistles, a fig tree will give figs. They can’t produce anything different than what they are. How does our fruit get judged though? We, as believers, do good works. But those good works we do are fraught with the effects of sin.. pride, anger, duty, self-centeredness, half-heartedness and more. Even our good deeds aren’t really all that good. But we aren’t saved according to our good deeds. We are saved by our faith. Our good deeds are a product of our faith, our salvation, but not the causal portion. They merely show what is true. There are those who teach differently though. 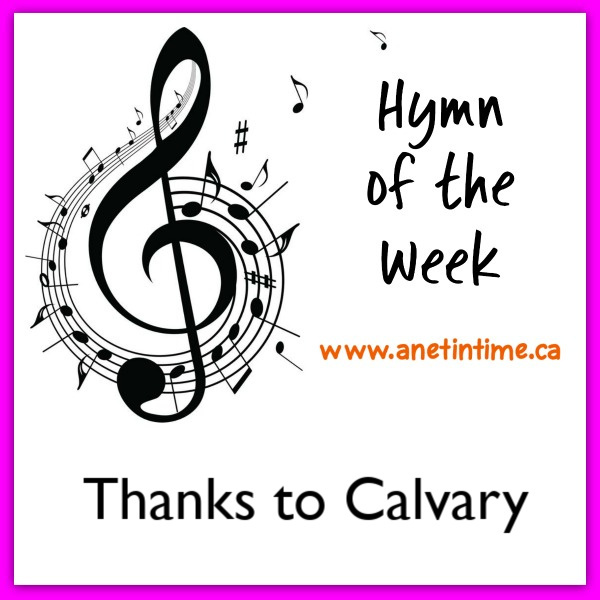 Those who teach that good works are an intrinsic part of our salvation. They would be so bold as to teach us good works are part of our justification process. The question then arises how do we judge the people that teach us? How do we discern truth from evil? Romans 7 says watch the deeds. The deeds of the evil will show what they are. We also need to weigh their words against scripture. Does our obedience render us more acceptable to God? 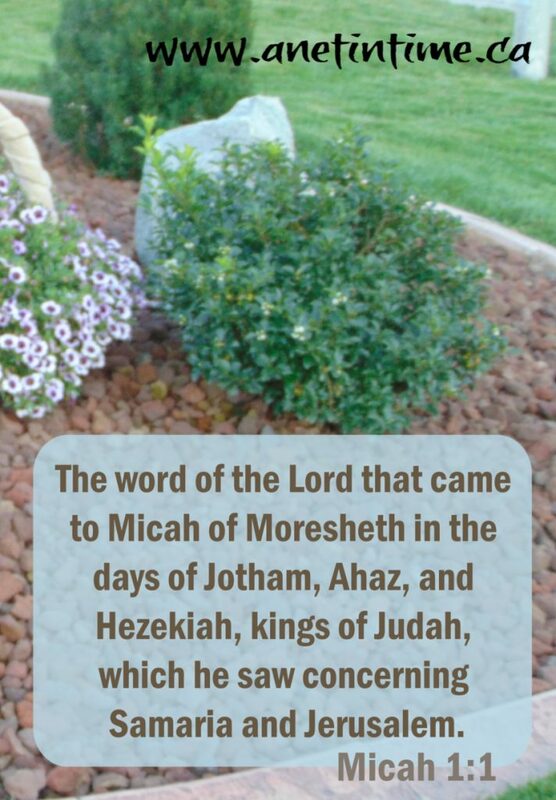 Is there anywhere in scripture that says that deeds are more important than faith? Is there anywhere in scripture that says deeds are how we are justified before God? 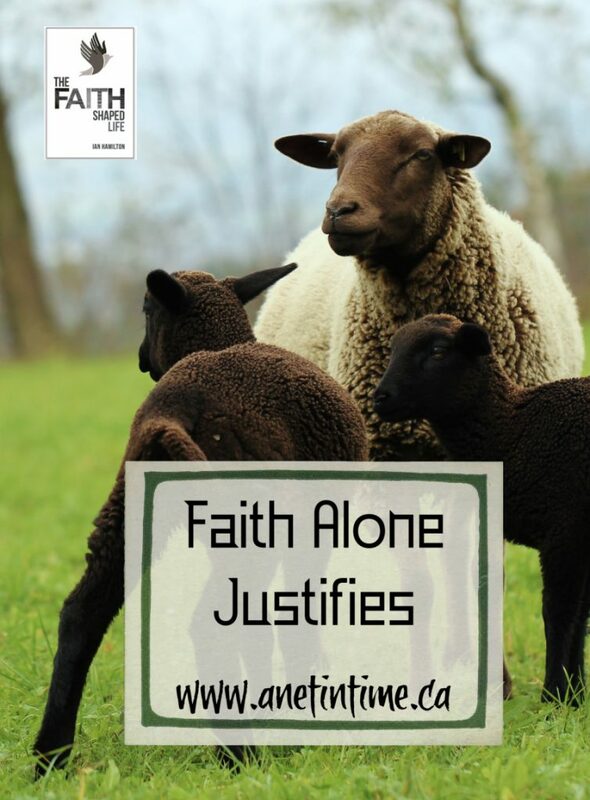 Throughout scripture we are told the justified live by faith. We are told that our faith is shown in the things that we do. We are never told that what we do saves us. Weigh out what you hear. Be discerning. Show your faith in your actions, but don’t be thinking that what you do is what saves you. It isn’t. Faith alone is how we are justified before God. The only way. 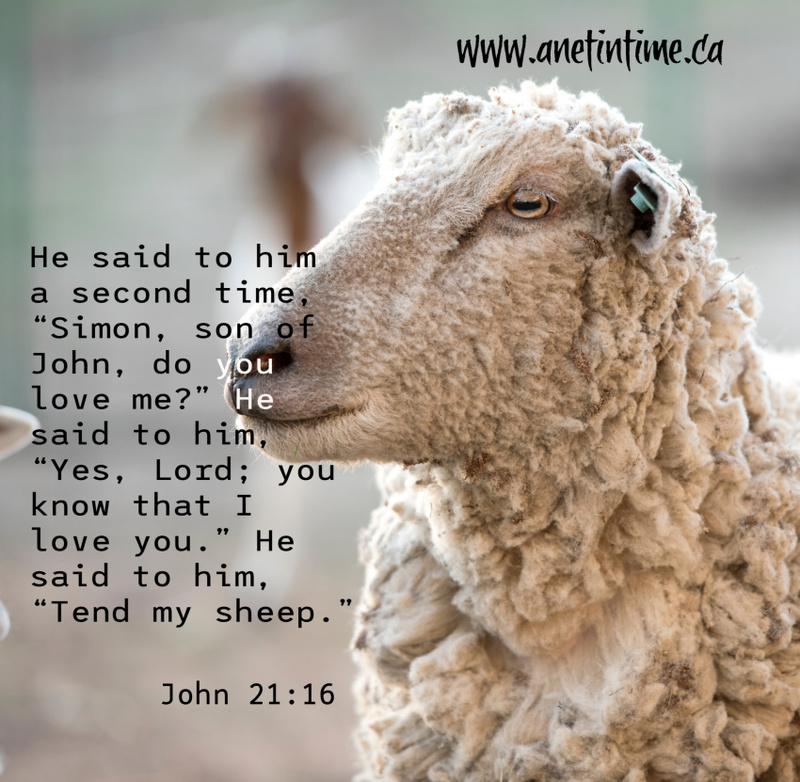 The last time we met for a devotional time we talked about Peter’s Eagerness for the Lord. Today we discuss John 21:15-19. That commentary was to show by what kind of death he was to glorify God. 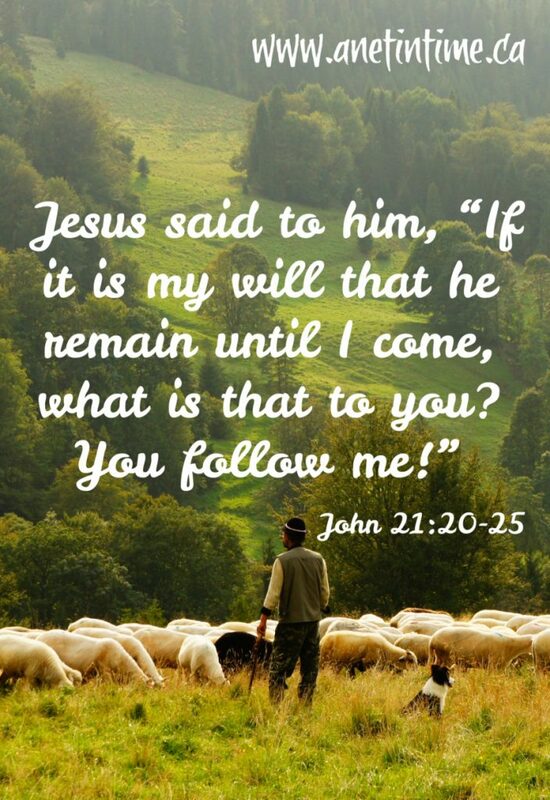 I wonder why Jesus changed his statements : feed my lambs, tend my sheep, feed my sheep and ending with follow me. Would Peter have understood Jesus’ truly, truly statement? Do I love Jesus more? Okay, I was reading Bible.ca and they said that Jesus was telling Peter that he would die for the sake of the gospel. That makes sense. I hadn’t thought of that. That Jesus would be telling Peter that he needs to take care of the believers. I checked out Calvin’s Commentary as well. He asked Peter three times, covering each denial that Peter made of Jesus at the time of his arrest. Now first he said “feed my lambs”… lambs are work. Did you know that? And feeding baby anything is hard work. And Jesus tells Peter to do that. To take care of the baby Christians. I remember talking with a lady who worked with brand new believers and she said “it’s a whole lot of fun, because their faith is so fresh and new, but BOY it’s a messy business.” She went on to talk about how they need to learn discernment, and to believe God’s word and to then incorporate what they now know into their lives. These are the lambs that Peter is told to feed. Then Jesus told him “Tend my sheep”. Tending sheep is different than feeding lambs. Caring for adult anything is different than caring for babies. Adults needed to be minded, to make sure they are holding true, eating and drinking what they should be, and having the output appropriate. It takes work and time, corrections and adjustments need to be made for good health. Which leads to the next statement: Feed my sheep. Feed them. Make sure they are getting fed. Not the sop of babies, but real food, help them grow and become what they should be. This is Jesus’ call on Peter, a leader in his church. 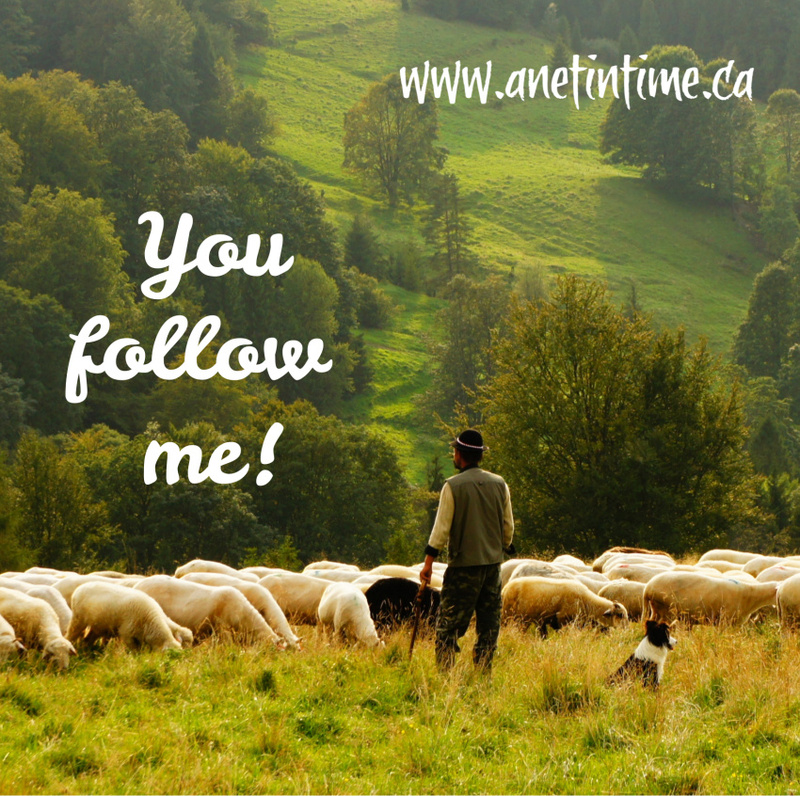 Follow Christ as you feed the lambs, care for and feed the sheep. And be prepared to die. Death will come, in a place not of your choosing. Nevertheless… follow me. Do I’ve been thinking about Jesus’ first question. Do you love me more than these? We don’t know what the these are that Jesus is referring to. He just asks, and Peter seems to understand. His choice is Jesus. It begs the question for me though. If Jesus asks the question, and there’s really no if, following Jesus means that question has been asked. But do we remember our answer. 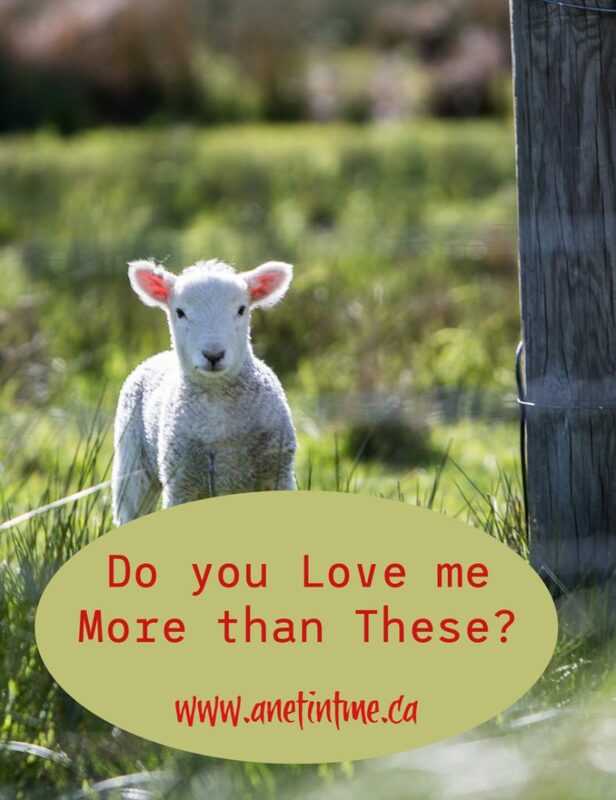 Do we love Jesus more than ________________? For Peter it might have been the fear of the moment. For a moment, as Jesus’ arrest, Jesus came second to Peter’s fear. After his conversation with Jesus that was no longer the case. Jesus would not come second to anything. Do we have the surety? How do I or How do you answer the question. Do you love me more than these? That’s my current struggle. Do I love Jesus more than food? More than my free time? More than TV? More than blogging? More than my family? 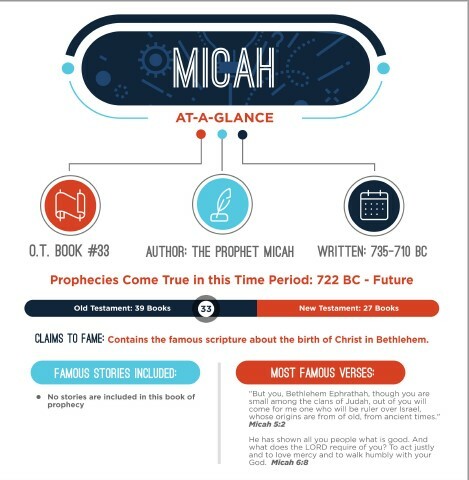 Where does Jesus come on the list? I want him to be first, but to my shame, too often he isn’t. I need to fix that you know? To continue the battle. Join me? I have to admit, this chapter in the Faith-Shaped Life didn’t quite go the direction I thought it was. The title is Thinking Faith: The Logic of Redemption. So I thought it would talk about how our faith makes sense in the light of God’s redemptive work in our lives (or something along that line). Instead, Mr. Hamilton had me thinking back to Peter’s eagerness with the Lord Jesus Christ. 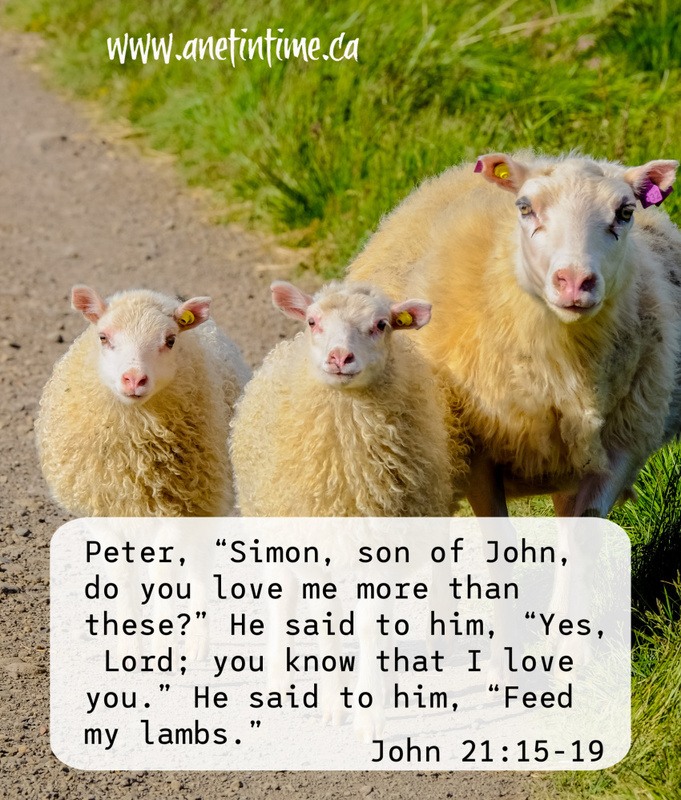 Peter knew it was the Lord so immediately wanted to spend time with him, when asked for fish, immediately got it, serving Jesus and his fellow disciples. That eagerness to help others is what Jesus wants from us. Our very salvation is based on Christ’s selfless love for us. Therefore 1 John 3:16 is important to us “By this we know love, that he laid down his life for us, and we ought to lay down our lives for our brothers“. (esv) This is the logic of our faith. Christ died for us with a selfless love. We believe in him, accepting that love he holds for us. Since we are working to become more Christ-like, ergo we need to be serving our brethren. Laying aside our own lives for them. THIS is how we show Christ’s love to those around us. Our love for each other, shows Christ’s love to the world. What we do here, in this world, with others who also love the Lord, shows those who don’t believe in God who Christ is. That blows my mind sometimes. That my actions really truly matter. So what happens when my actions aren’t being what they should be? What does that signify? Mr. Hamilton rightly points out that since Christianity flows from the cross, and it also returns to the cross. If our actions aren’t showing our faith that means we have become distant and detached from the reality of the cross. It’s empty, the tomb is empty, Christ ROSE from the dead. Saving us, conquering death, making real the truth of who he is. 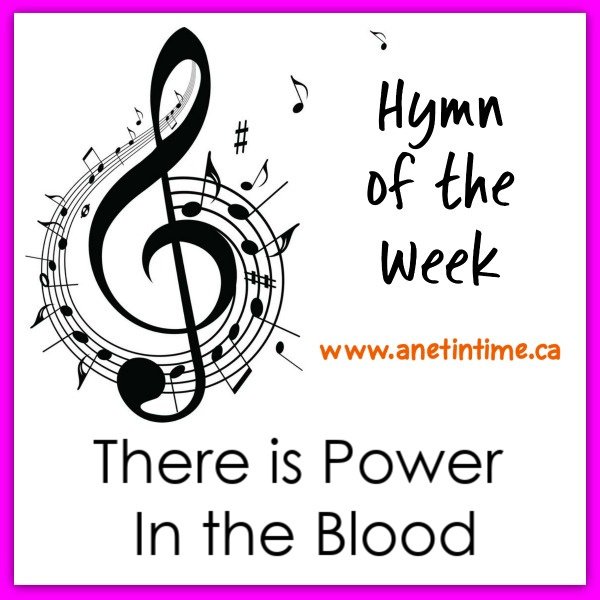 If we don’t see the cross daily, we won’t live out our faith as we aught to. Let us look for Christ risen, look for his selfless love on our behalf, and then show it to those around us. Let us help others see God more clearly. 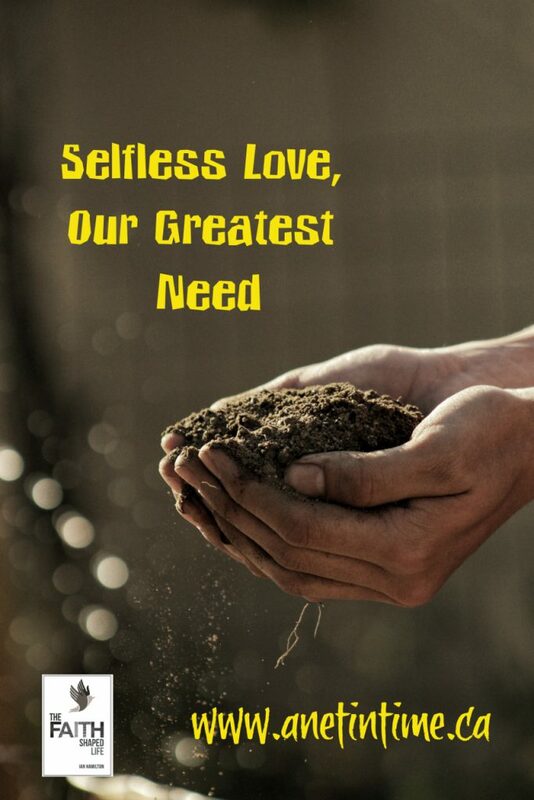 Understand Christ’s selfless love, it’s our greatest need.